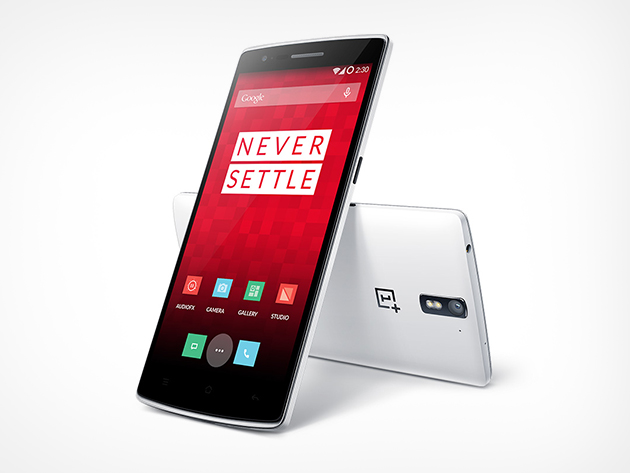 One of our most popular giveaways ever, the OnePlus One Giveaway ends tonight, 2/4 at 11:59 PM PST! If you haven’t entered yet, now’s your last chance! Get in the action for a chance to win this awesome and hard-to-find device for free, from TNW Deals! A quad-core 2.5 GHz Snapdragon 801 processor coupled with 3GB DDR3 RAM and an Adreno 330 GPU power this magnificent beast of a device, while a Full HD 1080p 5.5 inch display lets you enjoy movies, games and browsing with brilliant clarity and sharpness. It also boasts a 13-megapixel Sony Exmor rear camera and a massive 3,100 mAh battery. But since it’s launch, it’s only been available with an invite, as demand has far exceeded supply. This may be your chance to get your hands on this rare phone! To enter our super-simple giveaway, just visit our offer page and enter your email address — that’s it! Plus, gain extra entries into the giveaway by sharing via your social accounts. And don’t miss out on our newest giveaway, a PS4 Console with Call of Duty and Uncharted!